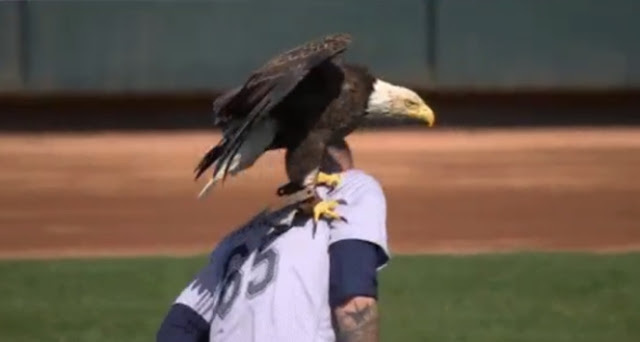 A bald eagle landed on Seattle Mariners pitcher James Paxton before his side's MLB game against the Minnesota Twins. The biggest challenge for Seattle left-hander James Paxton at Minnesota’s home opener came even before he started pitching on the 38-degree afternoon. Paxton was standing alone in left field at Target Field, taking a break from his warmup throws for the pregame ceremony Thursday. That’s when a bald eagle, brought in for a flight over the playing field prior to the national anthem, apparently became confused. Rather than soaring to the mound to reach his summoning handlers, the bird’s path went toward Paxton, causing him to move with a quick sudden movement his body backward to avoid being grazed. 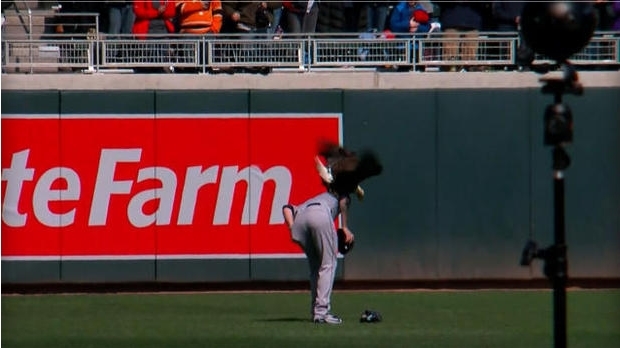 Then the eagle, named Challenger, landed in the grass before circling back to find a perch on Paxton’s right shoulder. One of the trainers hustled out to lure the bird safely away. A truly patriotic sight — for Paxton, who is Canadian. The 29-year-old is from Ladner, British Columbia. Minnesota fans, meanwhile, might have seen enough of eagles, too. The Vikings lost to the Eagles in the NFC title game in January, then had the Eagles win the Super Bowl in Minneapolis in February. Responses to "A bald eagle landed on the pitcher at a Major League Baseball game"